Nefab has been a leading provider of packaging solutions for more than 60 years. Our strength comes from our capability to continuously produce and develop tailor-made packaging solutions that reduce total cost and environmental impact for our customers. Nefab´s headquarter is located in Jönköping, Sweden. Today Nefab is represented in over 35 countries. The Nefab Engineering Center is located in Eindhoven. It is part of Nefab Benelux and was founded in 2010. Around 25 people work in this center. 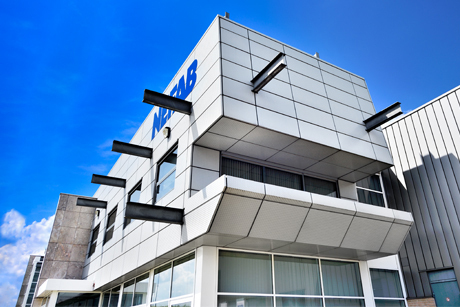 The Nefab Engineering center centralises a Research and Development department, a design department, an ISTA certified testlab, a prototyping and foam conversion workshop and a Cube manufacturing and cleaning. Our engineers follow a 5 step method in which they investigate and test the boundaries of a product. Specialties are: rotomoulded design, thermoforming, expanded foams and cushion calculations. In the laboratory Nefab tests, validates and releases packaging according to the ISTA or other standards (such as ISO and ASTM). We have a proven track record in advising customers on testing and test program design. For prototyping Nefab has two automated cutting tables (for foam, corrugated and PP corrugated sheets), a vacuum forming machine and numerous assembly techniques to convert 3D drawings into prototypes for evaluation and testing. Small series of packaging are also possible. The assembling, cleaning and refurbishing of the Cubes is done in an ISO class 5 cleanroom. The C2C Cube is the core product for the Nefab Engineering center. Our activities are focused on serving the entire C2C Cube solution. Nefab partners in the Eindhoven Engineering Center with a world-class cleaning company, for grades 1, 2 and 4 (particles/square decimetre) cleaning. We facilitate in our location wet and dry cleaning, baking, RGA analyses and custom cleaning requirements.